Karen Walker Maze - Black and Gold Need Help? The Karen Walker MAZE is comprised of thick chunky acetate, overtly round eyes connected by a metal bridge with metal temples, and chic gold trim. All of these elements come perfectly together making it one of our favorite Karen Walker sunglasses! 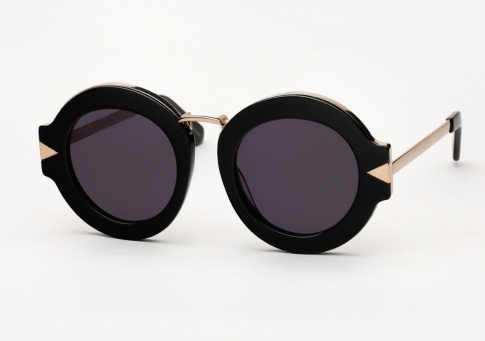 It is offered here in black acetate paired with gold metal.